On May 17, 1936 two men were caught breaking into the theater, and were convicted based on the marks left in the door by their lock picking tools. The police used a new tool called mulage, a plastic substance that makes impressions, to collect the evidence that convicted them. 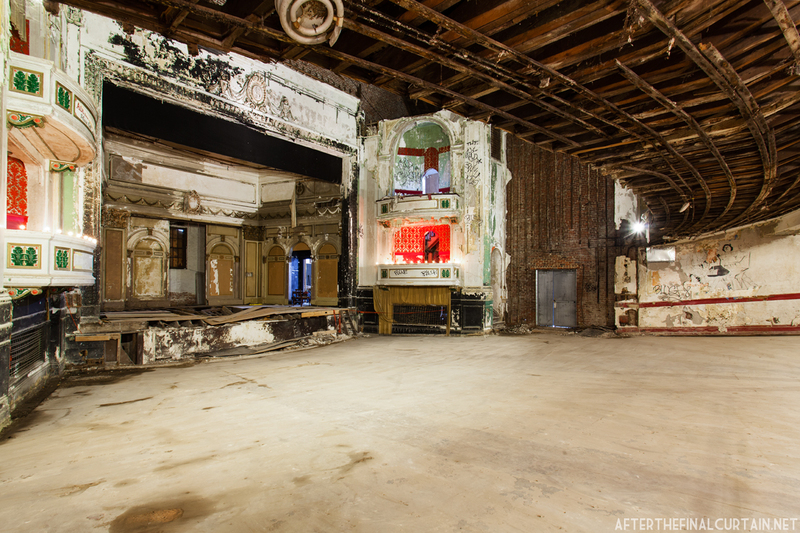 While the original building permits refer to the theater as a “moving picture house,” it also hosted vaudeville and live music during its early years. Famed vaudeville comedian Milton Berle played the theater on May 25, 1925, and signed his name backstage after he finished performing. In 1933, Everett Square, where the theater was located, was renamed Logan Square, and the following year the theater was renamed the Fairmount Theatre. 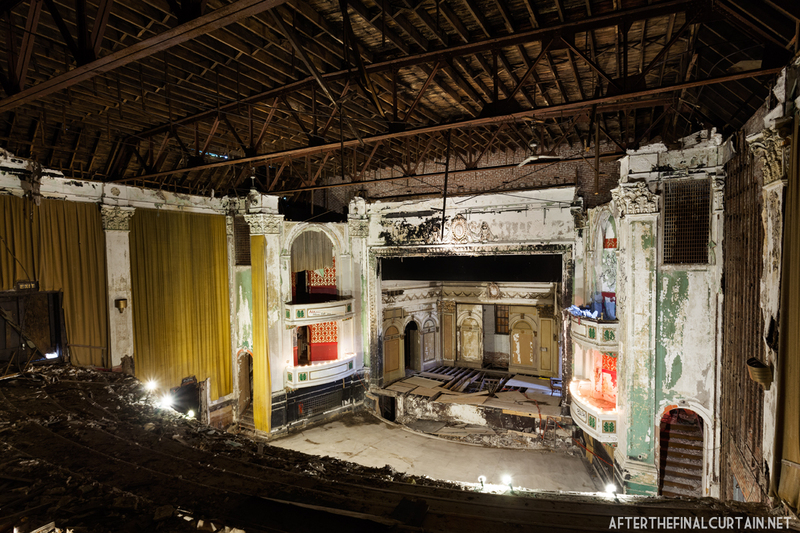 By the mid-1940s the theater had discontinued the live performances and only showed motion pictures. The Everett Square reopened as the Nu Pixie Cinema on December 26, 1969. 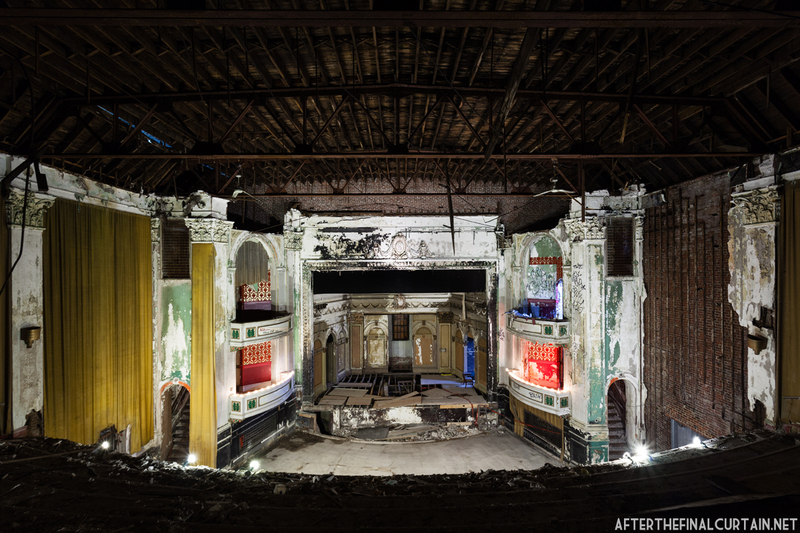 As the theater had less than a 1,000 seat maxi-cinema, but more than a 200 seat mini-cinema, the new owner described it as a “pixie” cinema, and named it such. It was renamed Premiere Performances in the early 1980s, which brought live shows back to the theater. 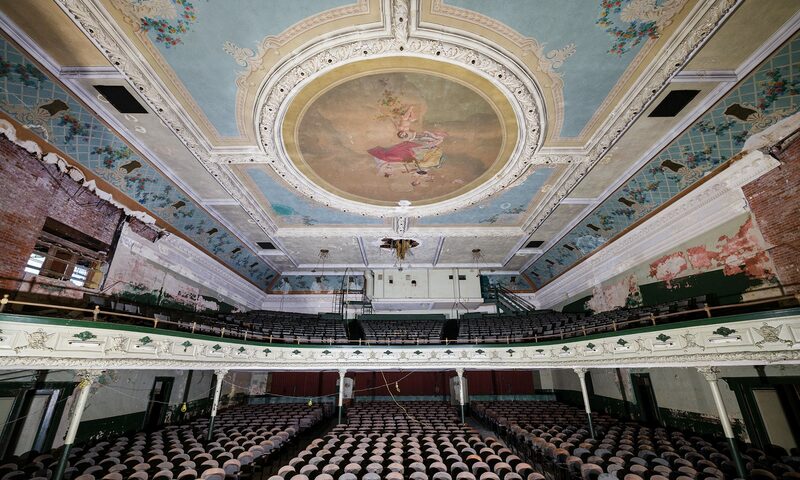 In the mid 1980s it was used as an auction house before being abandoned. A painting of characters from the Wizard of Oz adorns one of the auditorium walls. 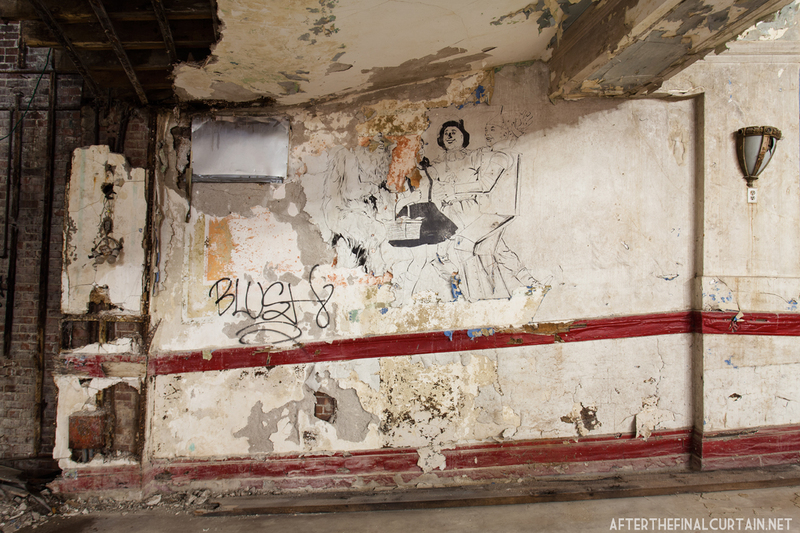 The building was purchased in 1986 by a group of Hyde Park business owners who intended to restore and reopen it. They formed a group called Showtime Restoration Volunteers and mounted two efforts to raise the funds for restoration, but both attempts were unsuccessful. 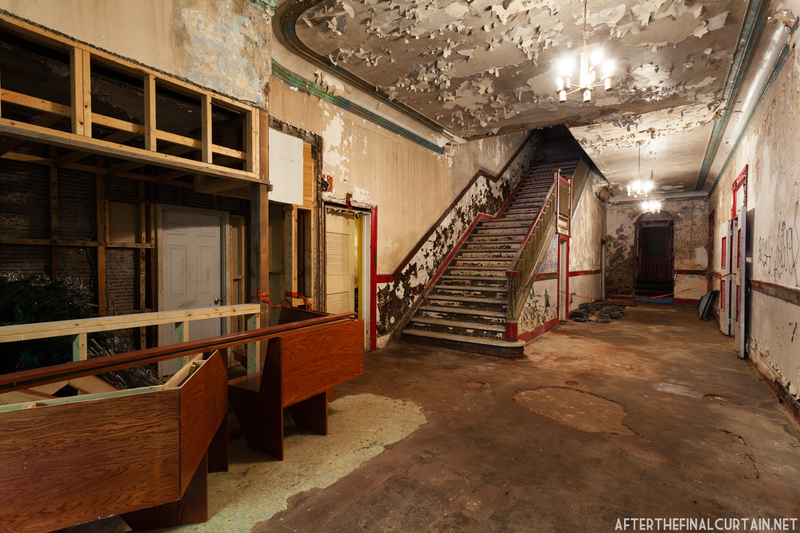 In 2008, Hyde Park Main Streets and Historic Boston Inc. took an interest in the theater. 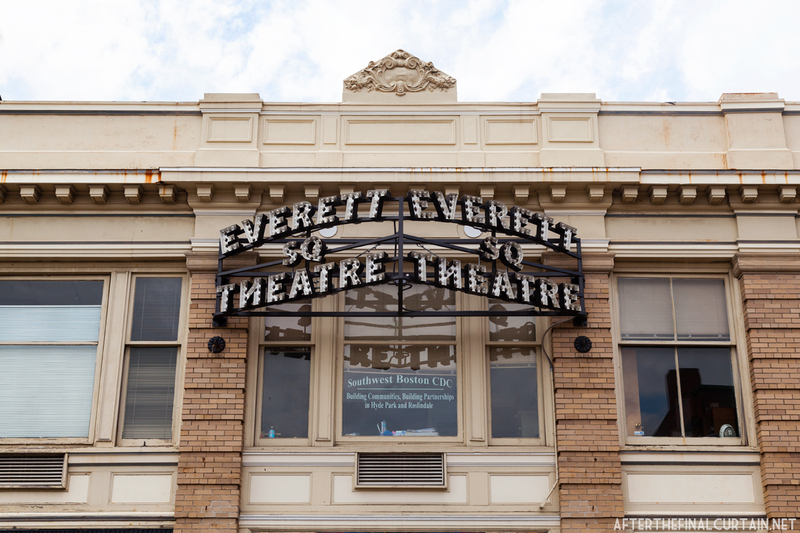 With the help of those organizations, the owners were able to get a $30,000 grant to replicate the original sign and restore the theater’s foyer. 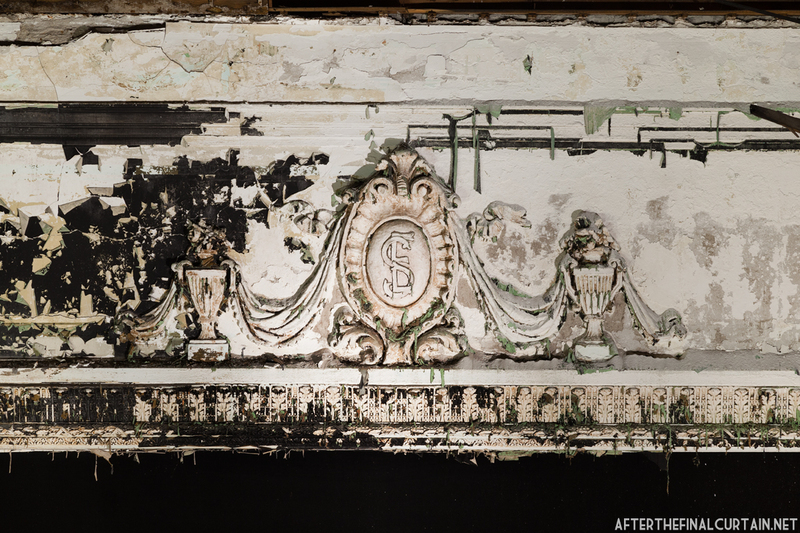 A full restoration is estimated to cost between $5 and $10 million. 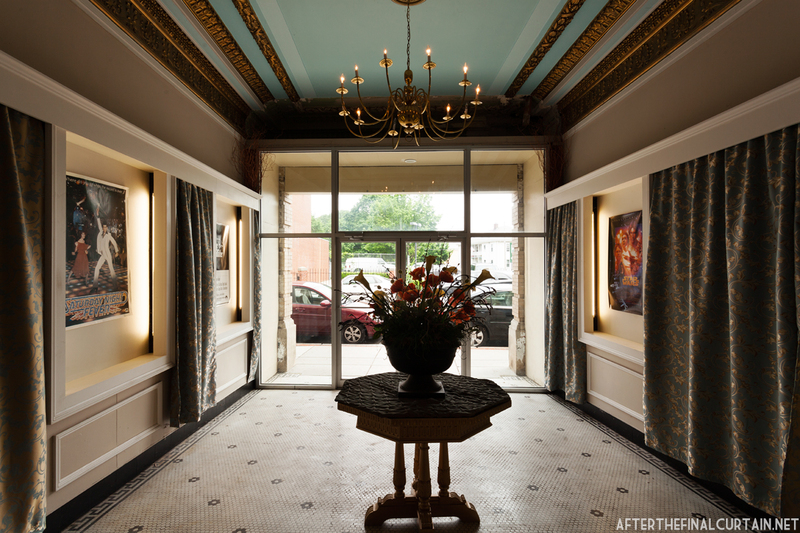 The foyer was restored in 2011. The new sign is a replica of the original, and was lighted on Jan 6, 2011 as part of a celebration for the renovation of the foyer. The projectors are long gone but some equipment remains in the projection room. Showtime Restoration Volunteers cleaned up much of the interior of the theater by removing the old seats and the debris from the crumbling ceiling. A bomb threat was called in to the theater in April of 1962, but after the theater was cleared and searched by the police, it was proven to be a hoax. Great commentary with (as usual) great photos. I love these pictures!! 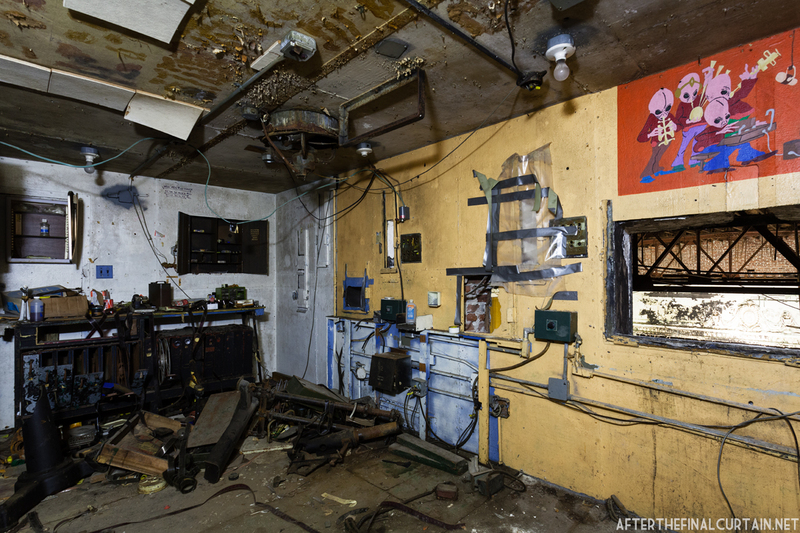 Abandoned spaces are hauntingly beautiful. 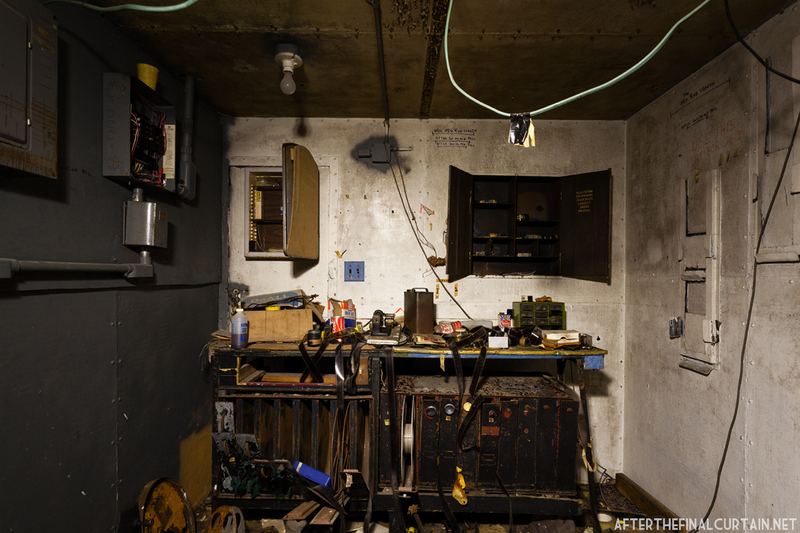 My goal is to photograph more abandoned warehouses this next year. I always love the trivia involved in these posts (the lock picking bit especially). It’s great to see volunteers coming together to help clean up and restore this place. I’m sure it was tremendously majestic in its heyday.